Ideal assortment for classroom use. 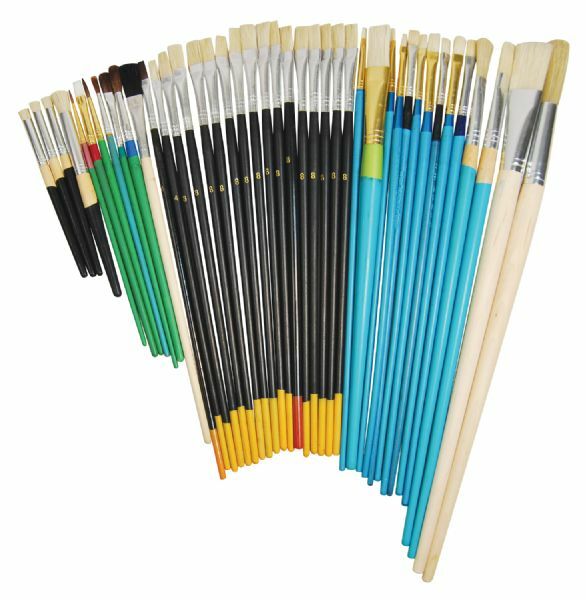 * Slight cosmetic defects that do not affect performance distinguish these from first quality brushes. * Each set contains 42 various bristle and camel hair brush styles and sizes. The material is natural bristle, synthetic bristle. 13.78" x 2.56" x 2.56"